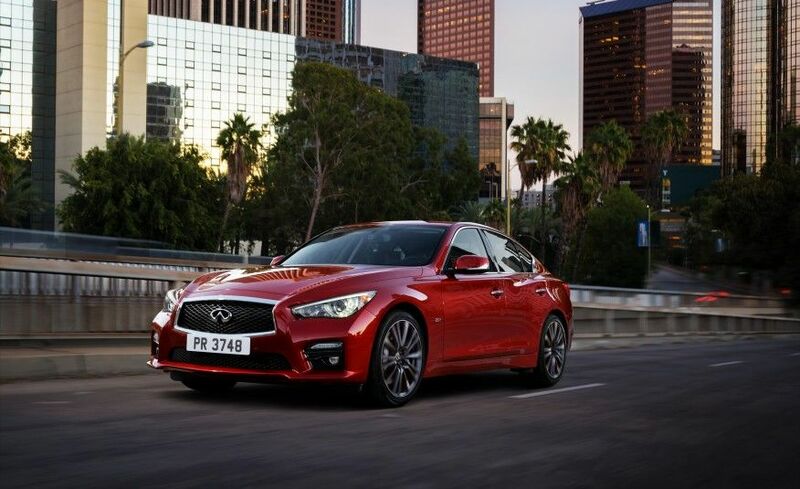 When the Q50 stepped in to replace the G model lineup in the Infiniti family stable, the auto industry took notice. It took notice because the design was so phenomenal, the drive so dynamic, and the overall technology so impressive. 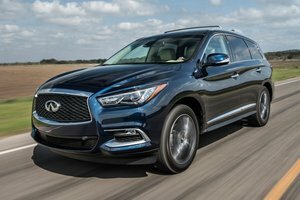 It's out with the old 3.7L engine that used to be across the lineup, and instead Infiniti’s outfitted the 2016 Q50 with an all-new 2.0L 4-cylinder mill that 208 horsepower and 258 lb-ft of torque. Along with the all-new 2.0L, is an available all-new 3.0L twin-turbocharged V6 that’s good for 300 horsepower and 295 lb-ft of torque. And finally, there’s still a Hybrid version available that features a Direct Response Hybrid system with Intelligent Dual Clutch Control that offers up a net horsepower of 360 ponies. The electric motor in the hybrid blends seamlessly with the 3.5L V6 that really energizes that particular Q50 model and offers up dynamism as well as fuel efficiency. By far, the coolest model in the 2016 Q50 lineup is undoubtedly the Q50 Red Sport edition that takes the 3.0L twin-turbocharged mill and cranks it up a few notches to squeeze out 400 horsepower, and all that power is then sent to all four wheels as it’s also an AWD model. Fantastic. 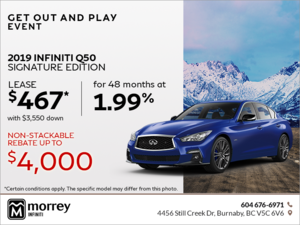 There is only one transmission available in the 2016 Infiniti Q50 and that is an electronically controlled 7-speed automatic with Adaptive Shift Control. Infiniti also has a nifty little driver-adaptive algorithm that learns and adapts to your driving style to adjust shifting accordingly. Continued for 2016 is one of the Infiniti Q50’s defining features: available Direct Adaptive Steering. The system, truthfully, can only be likened to a video game. Essentially, the driver has the ability to adjust how he/she would like the steering to feel: quick and hard, slow and soft, quick and soft. You decide. 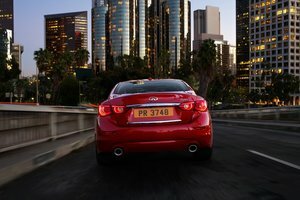 Along with a stellar exterior design and superb driving dynamics, the 2016 Infiniti Q50 lineup also features interior amenities like the Infiniti InTouch system that features dual screens in the centre stack and a host of apps to make your time behind the wheel as user friendly and connected as possible. 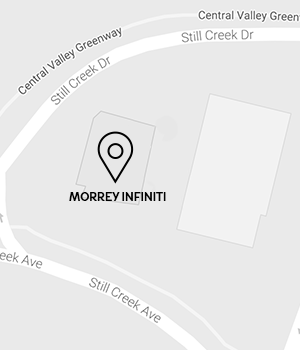 To find out more about the all-new 2016 Infiniti Q50 lineup, head down to your local Morrey Infiniti dealer today to speak to one of our experts. And don’t forget to book a test drive, too.